if i really notice frame drops constantly on Pro I can't even imagine the performance on base consoles. PS: the One X is hands down the winner. I just had a letter delivered to my tent, and the voice over sounds a lot like Katey Sagal. Can't find anything on google to back it up though. 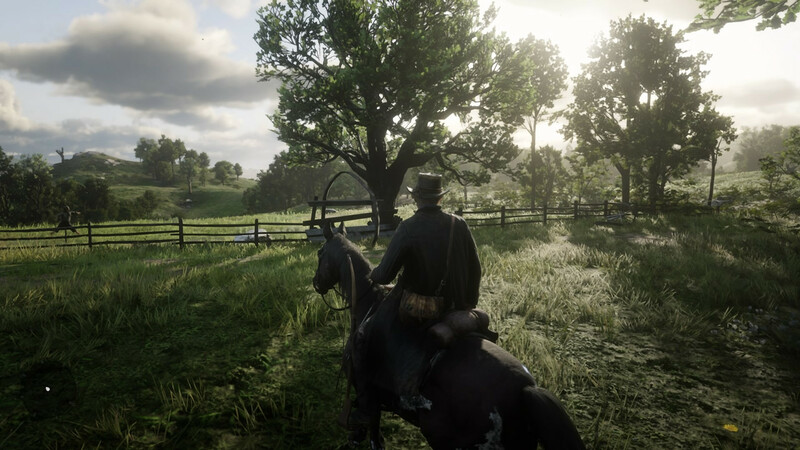 Had some amazing encouters, including a mission with Hosea to a location that made me feel insignificant, exactly how the same location in real life would make me feel. This is it guys...We made it...So Excited...happy hunting outlaws!!! This game is basically Westworld..really impressive. "You've got to keep faith"
I've been playing for about 5 hours now and this game has me blown away. The graphics are incredible. The scenery is breathtaking. I can't believe it. 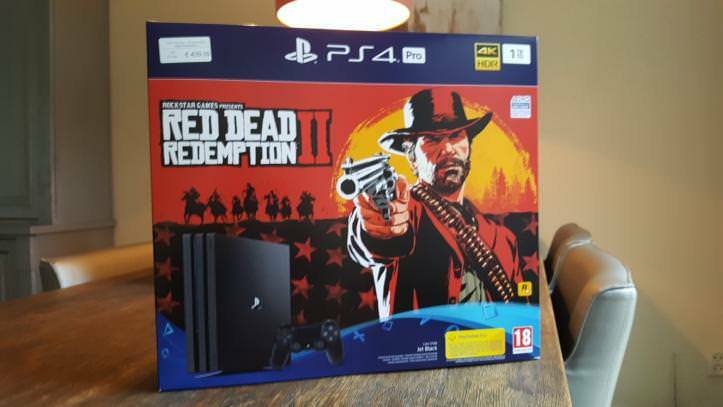 Well, just bought the Xbox One X with RDR2 for free. Was able to find a good deal still! I still need to wait until December to play it though, but I can manage. Am busy anyway. Had no med-kit to heal it so I killed it with bow&arrow shortly after ^ happened. It's even better when you're drunk. Incredible. Fired it up at midnight with intention of playing for two hours and then hitting the sack. Made it to bed just before 5am. Got a few real world tasks to take care of then I'm settling in for a 12 hour session. I'll probably just wander and explore for most of that, I just want to take it all in. Absolutely beautiful, so worth the wait. I'm stuck in the office in work and can't get away 'til 5 o'clock, knowing that the game is sitting un-openned on the table at home. I'm willing the minute hand on the clock to go round, but it seems to be going backwards! I've played the game for 4 hours now and I'm really beyond satisfied with the experience. The game looks truly something else, in its own league, in terms of lighting, sky boxes and animations. The countryside looks so natural and soft, with a very good image quality on my PS4 Pro and 4K TV screen (Sony's X900F). The predators aren't an easy kill if you're not well-equipped, as animals like wolves come to attack in a large group. I've already been killed many times trying to cross some trails towards West Elizabeth, in my journey to discover New Austin. The traveling distances are large and there so many things to stumble upon, admire or listen to on the way. Thank you very much, Rockstar Games. Does aiming your bow drain stamina? Just got back from collecting my game, the book arrived while out. Awesome indeed. * Not reading until long after still. Look at the artwork of the last pages! No spoilers + you don't get bored while the game installs. 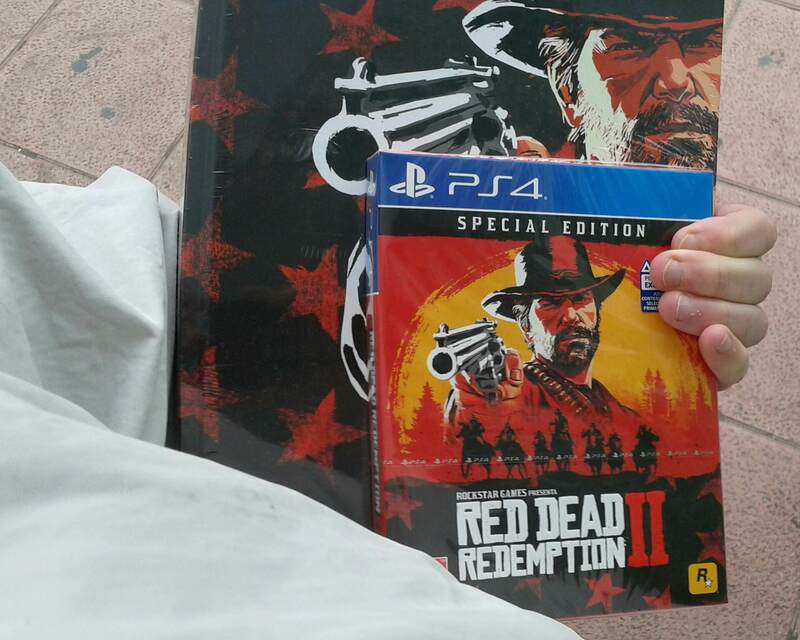 I am now official an owner of a Physical copy of the Masterpiece- Red Dead Redemption 2 (RDR2). I wasn't expecting the moon from this game (I do expect Herbert Moon though) but I got a whole galaxy, if you catch my drift. And those graphics are absolutely stunning, I can't believe they pulled that on console it's mind blowing. Well done R*, those tyranic 200 hours/week did pay off at the end. R* wasn’t bullsh*tting when they said a living world. I genuinely feel like it’s going about and I’m just watching it and interacting with it. I walked off the sidewalk in St Denis into the front lawn of a house and a man kneeled in the flower bed stopped working, looked up at me and stared for a second before saying something along the lines of I couldn’t be there and went to tell the police I was Trespassing, brilliant. Yes, that's odd. 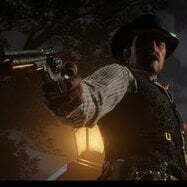 All games I played was better on ps4 pro (even if its just textures), and red dead has no difference. DF said TAA might be messing with textures in pro, I be wondering if rockstar is going to improve it or they cannot do anything about. I'm kind of disappointed, pro looks really blurred. I only played about 7 hours so far but I can already say it is my favorite Rockstar game to date. What an amazing work of art! I just have to say, guys after all this wait. RDR2 was so worth it. It's f*cking INCREDIBLE!!! Hard to even put into words! Just the gameplay the music the performances the damn storytelling and characters and animations! Everything is just so on point. The world is so alive, dynamic and unpredictable and oh lorddd is this world massive and gorgeous. 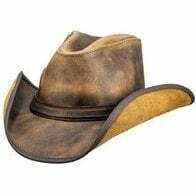 Cannot wait for everybody to get this game ❤ support the hell out of it rockstar deserves it and we want more red dead... Forever!!! My hun and I had the same idea, make the other a secret present. Almost the same, hehe, looks like he really loves me, Ultimate vs. Standard. This game is simply a masterpiece. Its 6 am est and i'm at work..played about an hour from 12 am to 1.. OMG this game gives me butterflies!! Every little movement, from shivering in the cold to the cinematic cameras in the snow...I cant wait to get off work and dive back in!!! !